Dr. Berenbaum received a Teaching Excellence Award from the USSU. She was one of ten instructors honoured for her outstanding abilities in the classroom. Her teaching responsibilities include undergraduate courses in professional practice, community nutrition, and nutrition program planning and evaluation, while she also team-teaches the graduate course Advances in Human Nutrition. Selected by students, the Teaching Excellence Award recognizes those who have demonstrated enthusiasm, organization and fairness in evaluation, providing exceptional commitment and support to their classrooms. 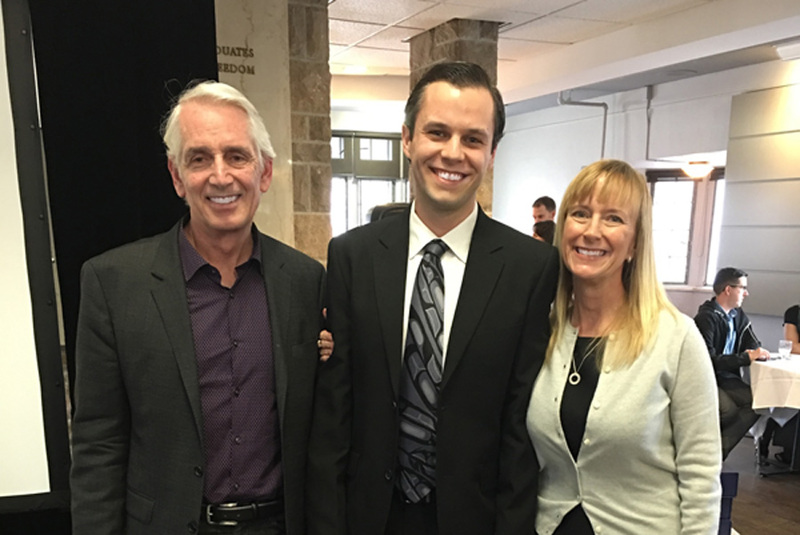 Dr. Swidrovich received the 2015-16 USSU Engaged Young Alumni Award. He holds a Bachelor of Science in Pharmacy (2010), and he continued his education at the University of Toronto to earn a Doctor of Pharmacy in 2013, where he became the first self-identified First Nations Doctor of Pharmacy in Canada. Swidrovich began as a lecturer at the college in fall 2015, he sits on the board of Sanctum Care Group, a hospice for HIV positive individuals in Saskatoon, and he regularly presents at regional and national pharmacy conferences. The USSU Engaged Young Alumni Award is for alumni who have graduated in the past 5 years, are 35 years of age or younger, are actively involved in the community, and have maintained a strong connection with the University of Saskatchewan. This award was established in 2010 through a partnership between the University of Saskatchewan Alumni Association and the USSU.